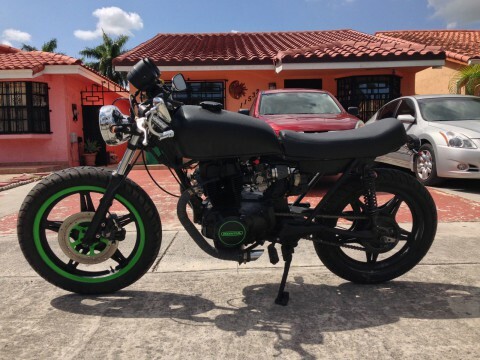 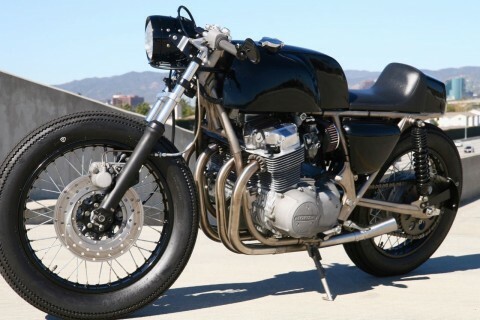 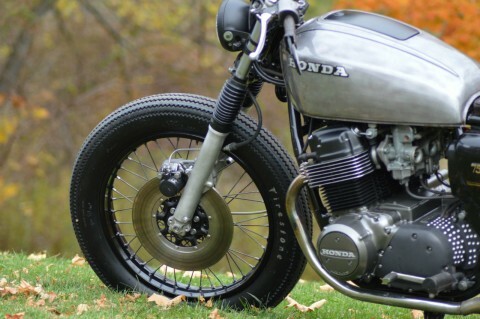 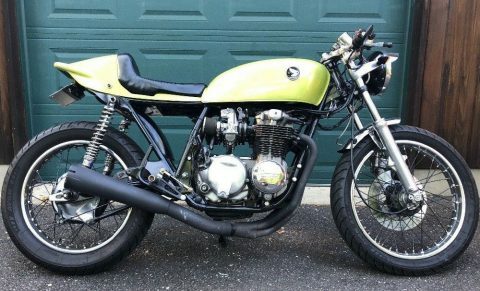 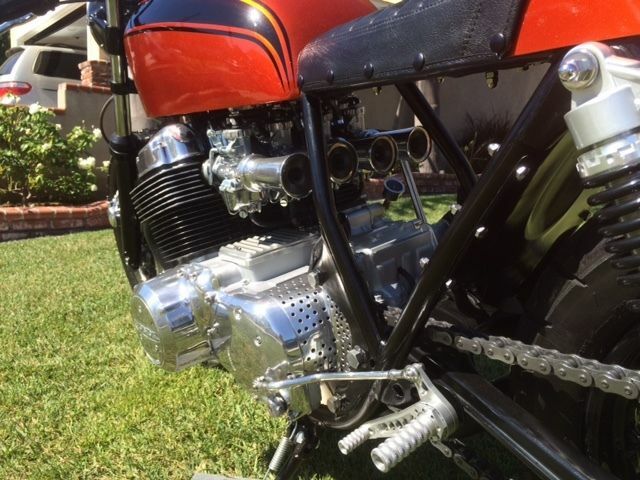 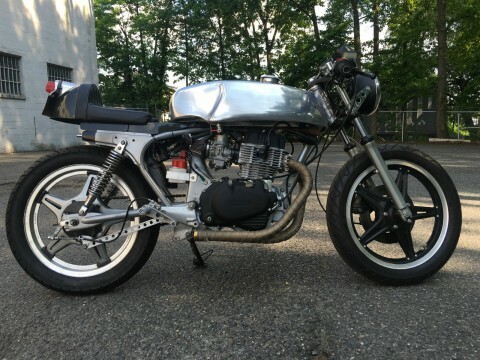 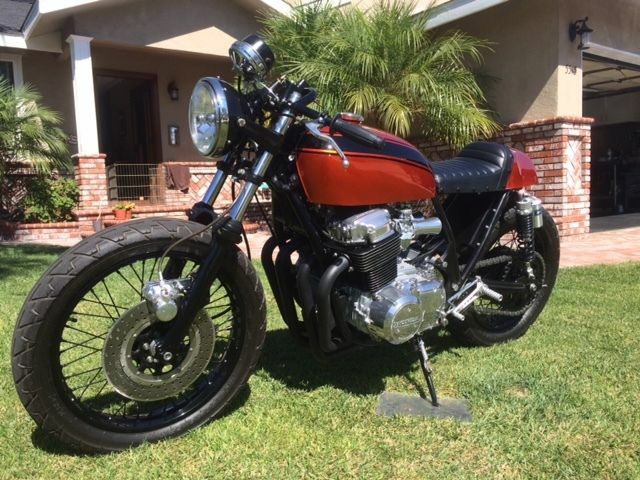 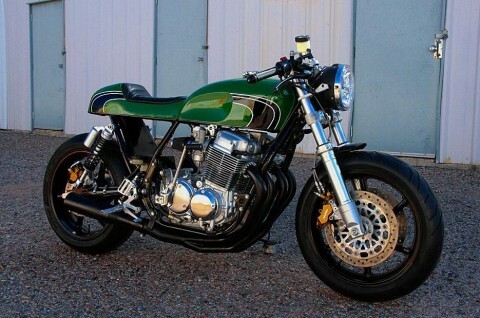 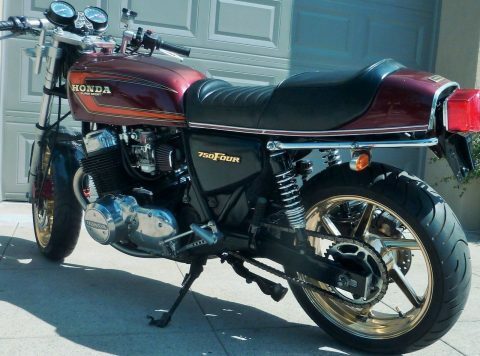 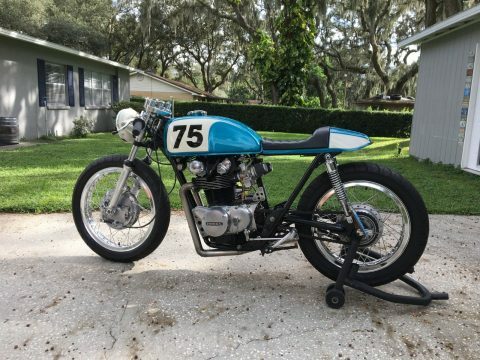 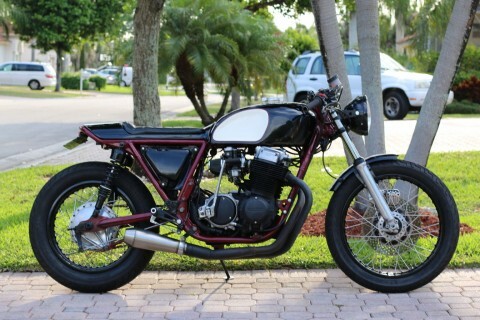 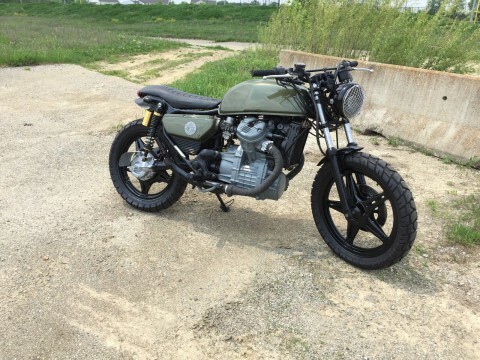 1978 honda cb750 bratstyle bike. 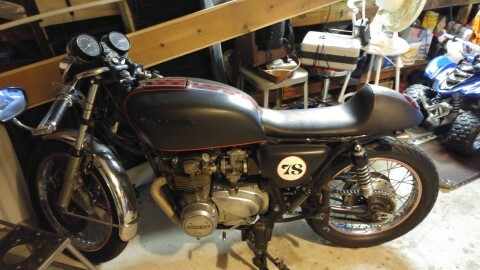 Just completed and ready to go. 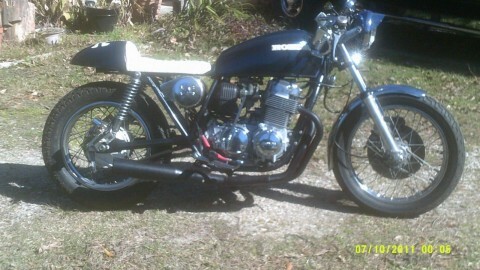 Runs and rides great. 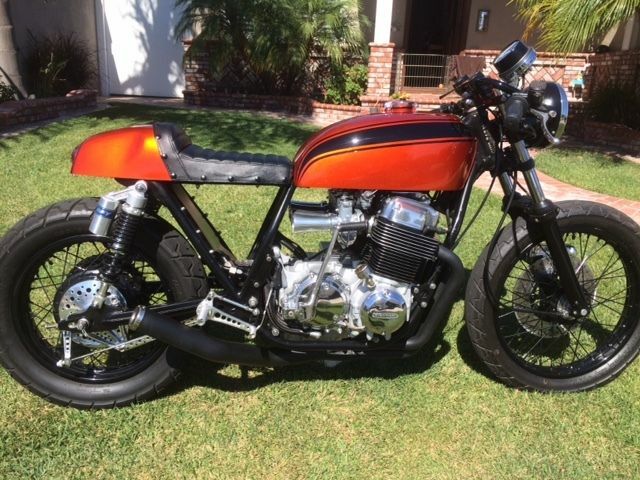 All new paint, bare steel fuel tank (clear coated) rear upswept hoop on frame, black rims, new 4×18 4×19 firetone tires, new brake pads, carbs cleaned, new pod filters, new low rise bars, short headlight ears and small headlight bucket, mini LED blinkers with electronic flasher, new 100% custom wiring harness, new battery, new bates style brake/tail light, new gold o-ring chain, etc etc. 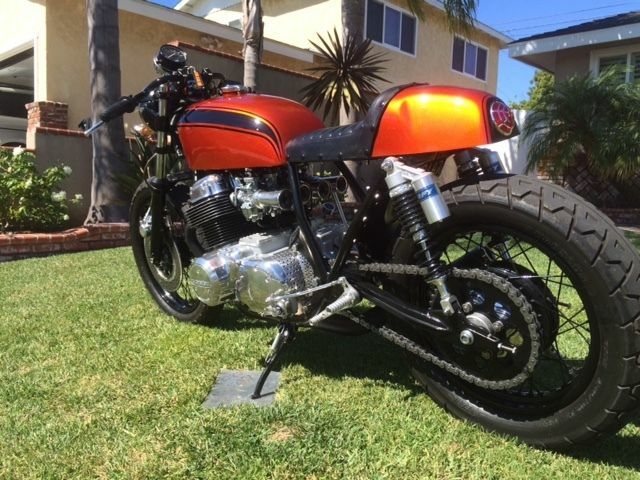 inside of fuel tank is completely rust free. 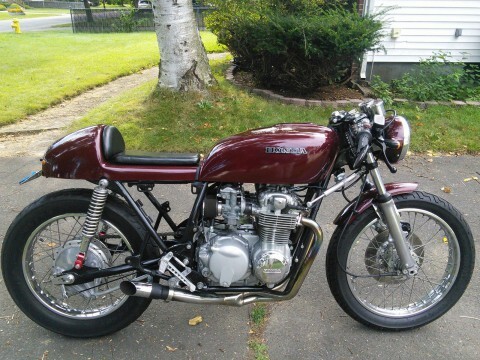 hand made brown seat with square pleating.